There was a lot of hype in Taiwan last Saturday. 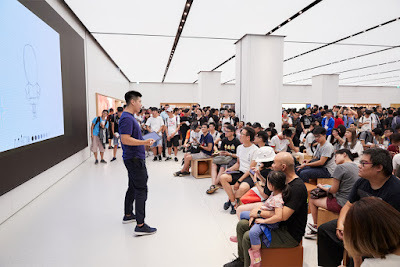 People gathered at the sleek curved sliding glass doors, eager to step inside the first Apple Store at Taipei 101, Taiwan. The curious crowds were welcomed in by staff so they could see the latest offerings Apple has on the market. The excitement was palpable as customers lined up from the night before in order to have the first look inside. The store employs 130 employees. Customers can have hands-on time with the latest gadgets and Today at Apple sessions are also offered. The sessions cover a variety of topics including coding, music, design, video, and art. 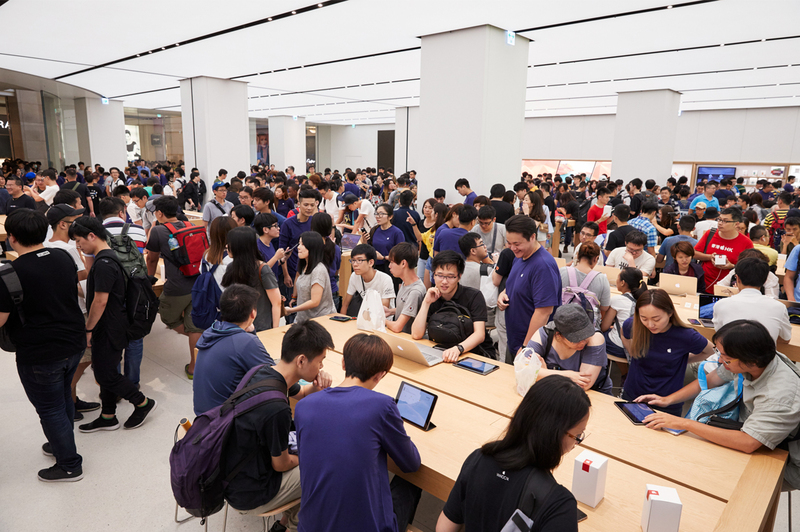 We were proud to play a small but very important role in the opening of the Apple Store at Taipei 100. Our team worked tirelessly to ensure all the furniture and general fittings arrived at the store in time for the opening. We think the store looks amazing and we are excited to see where the next ‘first’ Apple Store will be opening. We’ll be ready to handle the delivery of items when our assistance is required. Read more about the grand opening, here.